Did you know that if you suffer an injury as the result of poor-quality cosmetic surgery then you might be able to make a legal claim for compensation? The law protects patients from negligent practitioners, whether the surgery or procedure is carried out for health or aesthetic reasons. When a cosmetic surgery goes wrong it is often due to clinical negligence. Clinical negligence may result in a legal claim for monetary compensation. Here are six things you need to know if you are considering making a claim or you have suffered injury following cosmetic surgery. Doctors, nurses and surgeons generally provide excellent quality, caring service to patients. But if you suffered an injury because the practitioner was not offering quality care or attention, you are entitled to make a compensation claim for clinical negligence. This means failure to provide care at the expected level, or a breach in the standard of care resulting in a procedure gone wrong. Medical problems can occur when any medical procedure is carried out, whether it is cosmetic or otherwise. 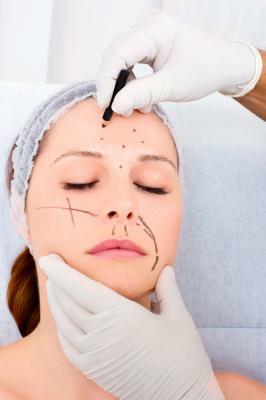 Common problems connected to cosmetic surgery include numb or paralysed facial muscles, chemical burns, uneven breasts, facial disfiguration, and skin discolouration. Scarring caused by negligent cosmetic surgery procedures can also cause psychological suffering and long-term emotional damage. If you have suffered a cosmetic surgery injury then you are not advised to try and deal with it yourself. Clinical negligence claims are complex and should be dealt with by an experienced legal professional. While many people may see the likelihood of problems emerging from cosmetic surgery as low, it is a fact that serious injury can occur through cosmetic surgery that can affect you for many years. Injuries can cause loss of earnings, and contribute to psychological damage or harm that affects your quality of life. Because of this, a claim is essential as soon as possible after the event, so you can ensure it is dealt with correctly. It is not only the procedure itself you need to think about – often infection develops while the nurses or doctors are not properly monitoring the patient. Infection can cause serious problems although it does not always occur as a result of negligence. If you contracted an infection that came about through the fault of the doctors or surgeons, seek legal advice. Often it may be possible to make a claim for a procedure that happened overseas. Again, it is important to consult a solicitor in this case who will be able to advise you on whether the claim is possible.